WINSTON-SALEM, North Carolina (WGHP) -- At Gibson Elementary School in Winston-Salem, everyone knows and loves teacher assistant Violet Mathis! That despite the fact that she is 91. You heard that right -- 91 years old. A fact that doesn't bother her or any of her coworkers. Gibson Elementary is Mrs. Mathis' second home of sorts. 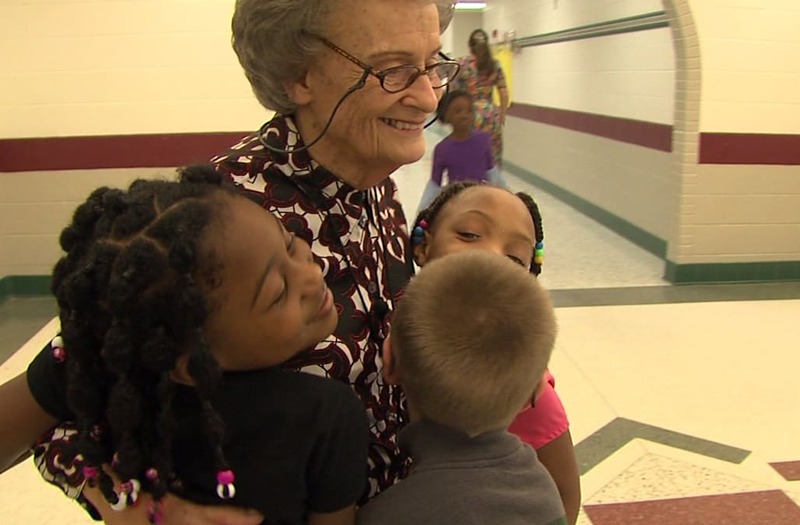 She has been working at the school since it opened in 2001, and she strives not to miss a day. "I'm blessed. My health has let me work this long and I enjoy it and love the people I work with," she says. "I sure would miss them, so as long as I am healthy I want to work." In fact, this is her second job where she's been a trendsetter. She first retired after working 32 years for McLean Trucking. But, after her husband passed away, she needed to stay busy. Her daughter is a teacher and she got her into the classroom, where her second career truly blossomed. In her 17 years at the school, she has seen a lot of changes. And that's what keeps her wanting to come back, day after day, and year after year.